Kong stands apart from other Generator suppliers by being 100% focused on power. it’s all Kong does and it’s all Kong has ever done. This focus enables Kong to attract the most experienced and capable technical and applications specialists in the country. Kong Power delivers value by delivering engineered solutions and ensuring your site has the right sized generators, with the most efficient, cost effective and efficient engine options on the market. 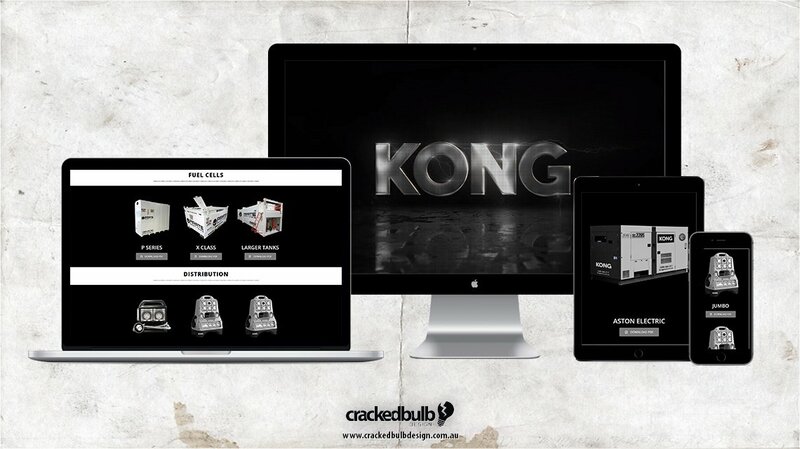 A big thanks to Kong Power for giving Cracked Bulb Design the opportunity to design their website and branding.